"LOCATION, LOCATION, LOCATION!~ Halfway between NYC and PHL, minutes from the Hamilton Train Station, Trenton-Mercer airport for commuting or be an active horseman that needs access to any and all of the Tri ST tracks.~ 133 acre predominantly established in pasture and ready to take on a major operation.~ 10 Stall show barn, observation room, attached to a (80x120) indoor arena w/sprinkler system, Halogen lights and excellent footing, lighted outdoor arena.~ 19 lush paddocks w/run in sheds, 2 family caretakers home.~ Stunning 3,500+ sq. ft. custom designed and appointed home from it's 10 ft. ceilings to it's gourmet kitchen to the gentleman's library, this home is a WOW!~ Built in concrete pool surrounded by beautiful landscaping an terraces.~ Vineyard/farm office complex round out this exciting package!" 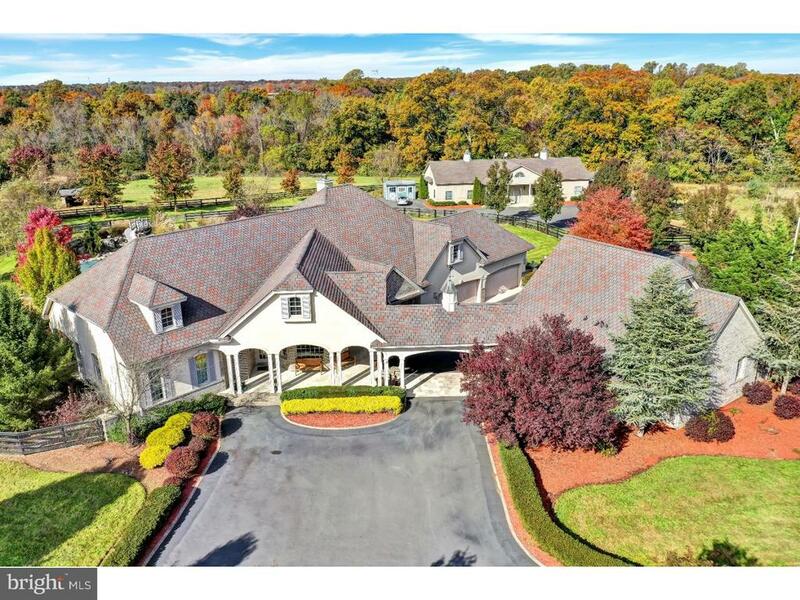 "Incredible Estate Like Home in Steinert School District is absolutely STUNNING! Over 6,000 ft and loaded with options and upgrades. Too numerous to list, plus a gorgeous finished basement. Some of the features include: Custom designer kitchen completely upgraded in every detail, center island with granite counter tops, stainless steel top of the line appliances, tile back splash, custom lighting. Breakfast/morning room with vaulted ceiling and skylight, butler pantry with sink, built in refrigerator and dishwasher, huge formal dining room, gorgeous living room, FAM room with 110 projection TV (included), vaulted ceiling and skylights. The incredible in-home office features exquisite custom carved maple wood panels and bookshelves, maple coffered ceiling with custom carved decorative details and wall of windows, imported glass conservatory with bluestone flooring and gas fired wood-burning stove includes dedicated audio system. Game/billiard room has an eye level double sided gas fireplace and includes the Bose speaker system, private den for reading or relaxing, grand 2 story entrance foyer with Palladium window. 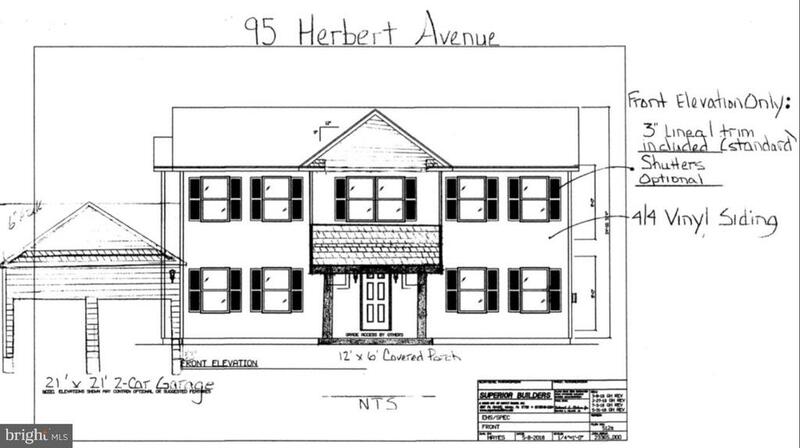 2nd floor features 4 spacious bedrooms and 3 full baths. Superb Master suite with sitting/exercise room and a huge, custom luxurious bath with claw foot tub and multi-jet enclosed glass shower. Walk-in closet with custom organizers. Finished basement with walk-in temp controlled wine cellar and serving counter. 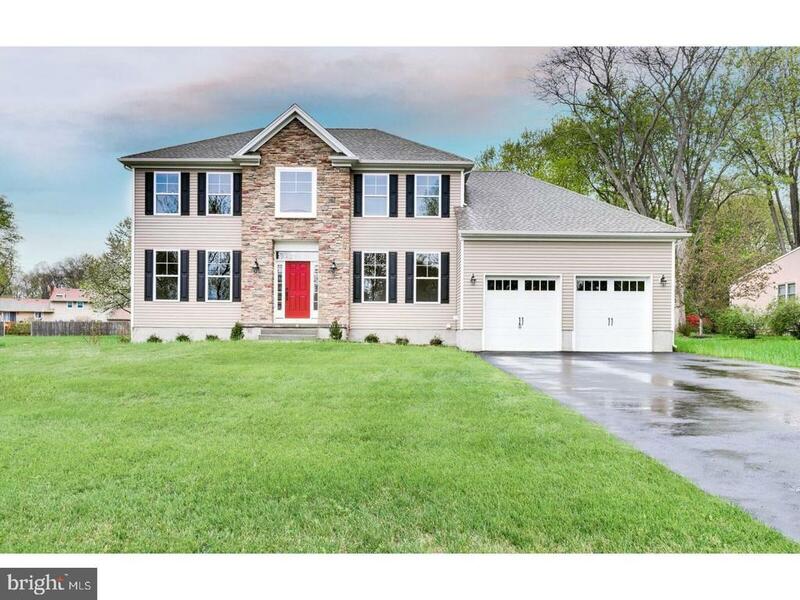 FIVE fireplaces, gorgeous hardwood and tile flooring, custom crown moldings, chair railing and wainscoting, recessed lighting, security system, 5 zoned HVAC and back up generator are just a few of the additional features of this stunning home. The outside is just incredible! Surrounded by beautiful lush landscaping, enter the long circular driveway with custom pavers extending the entire driveway. Built in heated swimming pool with cabana, a full outdoor kitchen, in-ground sprinkler system, lighted ~ basketball court and bocce court. Over the 4-car g"
"Pride of Ownership is found throughout this Custom-Built Estate with 4-bedrooms and a 3-car side entrance garage all on a quiet cul-de-sac is ready waiting for you to move in. You will be impressed as you walk up your custom paver walkway & your extensive, professionally landscaped grounds with an in-ground irrigation system. Upon entering this spectacular sun-lit grand foyer with tile floor, beautiful wainscoting and glistening hardwood floors throughout the kitchen, dining room & living room, you will notice the timeless decor incorporated throughout this home with a spectacular staircase leading up to the hardwood bridge that overlooks both the entryway and living room. On either side of the entry foyer is a formal dining room and living room which leads you into your gourmet kitchen which is fully equipped with upgraded appliances, gorgeous granite counter tops, custom cabinetry, two pantries and a grand center island with breakfast eating area & sliding doors leading out to the back yard. This open floor plan allows guests to flow in between the kitchen, living and dining rooms. It's the perfect space for entertaining and celebrating those special moments with family & friends. The warm and inviting spacious living room with cathedral ceilings and two grand picturesque windows also has a fireplace to keep you warm during those chilly nights. The second floor features an over-sized master suite with double-door entryway, trey ceilings, sitting room, his and hers walk-in closets. The master bath features, dual vanities, a soaking jacuzzi tub and a separate shower. An additional full-sized bathroom and three bedrooms complete the second level. If that wasn't enough, enjoy your additional finished basement with half bath & still have plenty of room for storage. Some additional added features include newer water heater, air conditioning unit, windows that prevent fading, gutter guards. There is nothing left for you to do but unpack and move in. 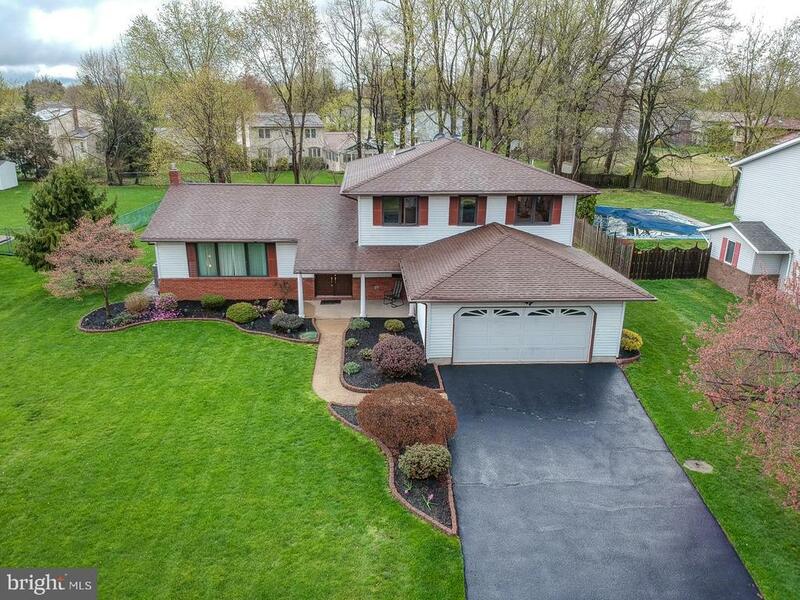 This rare gem will no"
"IN-LAW-SUITE Estate style living 2 story brick front home with in-law suite on a 1.1 acre lot on a private cul-de-sac. 5 bedroom, 5 bathrooms Living room, dining room with hardwood floors Kitchen with granite counters, tile backsplash, tile floor, stainless steel appliances Finished basement 2 fireplaces, one in living room, one in basement In-ground pool and cabana, pavers and Trex deck, Lawn sprinkler, Alarm system, In-law suite has bedroom, full bath, family room, kitchen, laundry room, covered porch, partial basement. 2 car garage and large driveway to park several cars. House backs up to woods for a very private back yard. Centrally located, minutes to train station, and major roadways." 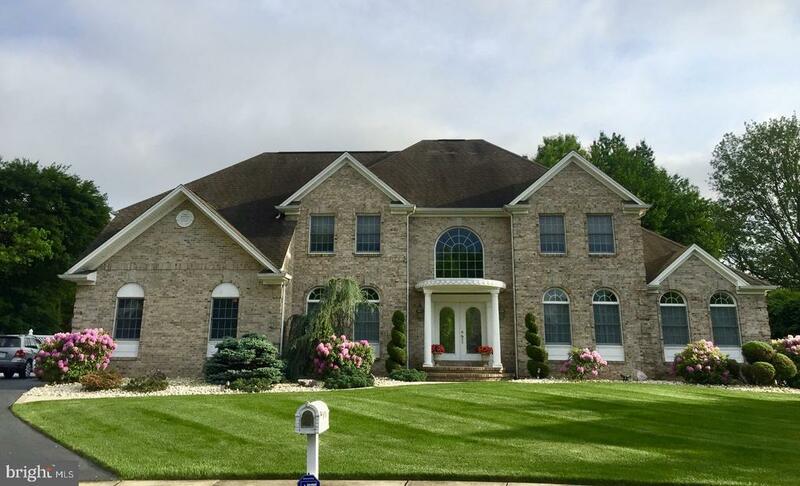 "Gorgeous Springfield Model: 5 bedrooms, 4.5 baths, 3 car garage, located in Steinert School district and ready for new owners! 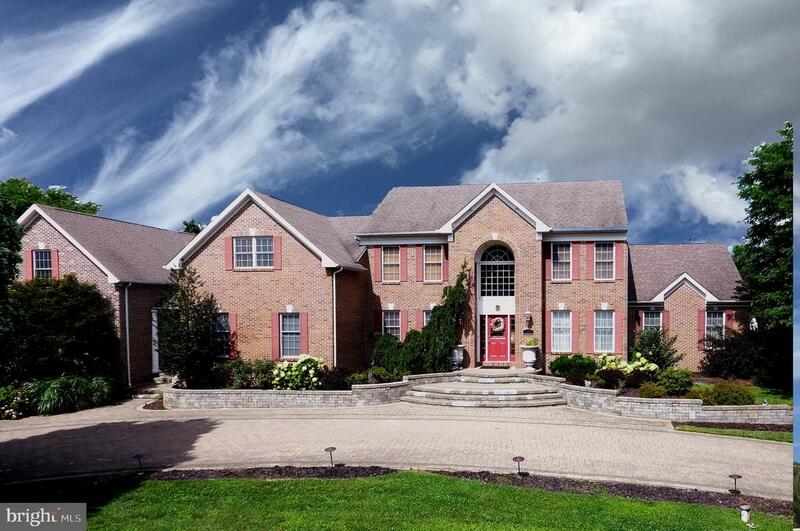 This community is Hamilton's finest, with a generous lot size of approx 2+ acres. Enjoy a peaceful and serene environment. Features include: full brick front exterior with a paver driveway and walkway to a double front door entry, designer kitchen is appointed with custom cabinetry, custom tile, stainless appliances, granite counter tops. Upgrades include hardwood flooring, ceramic tile and oak treads. Unwind in a palatial master bedroom that offers two enormous walk-in closets and an impressive tray ceiling; exquisite master bath w/Jacuzzi tub and a glass shower with bench. The second bedroom is outfitted with a full bath while the third and fourth bedroom share a beautiful Jack & Jill bath. Home features a maid's room or guest bedroom w/full bath on the main floor. Central this this home is the great room, with a cathedral ceiling, recessed lighting and gas fireplace that is flanked by architectural windows. Formal living room and dining rooms are complete for grand entertaining and offer crown moldings and chair rail. A home office that is currently used as a playroom, rounds out this home. Close to major transportation; location offers the best of both worlds! Schedule your appointment today." "IMMEDIATE OCCUPANCY! This breathtaking beauty is ready for you! Loaded with upgrades, you will not be disappointed." 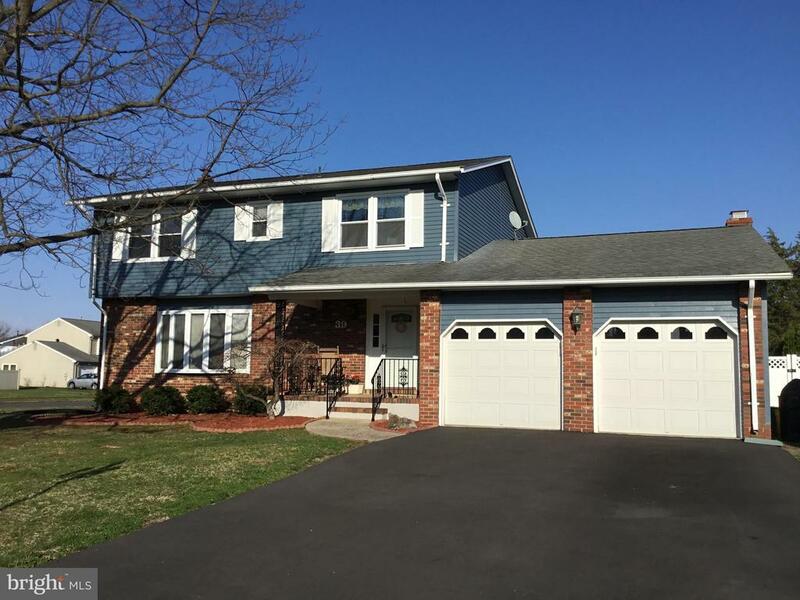 "This fully updated 5 bedroom, 2.5 bathroom home is located in desirable Hamilton Twp. The property sits on a quiet street in the Hamilton Square development. The living room features recessed lighting and hardwood floors . The dining room includes a decorative chair rail and plenty of space for full sized table.. The eat in kitchen offers granite countertops, stainless steel appliances, and recessed lighting. The family room has a wood burning fireplace and built in bookshelves. The master bedroom is complete with a walk-in closet and fully remodeled master bathroom. Additionally the other spacious bedrooms in the home feature large closets. There is a first floor bedroom that can be used as an office , playroom, craft room, workout space, etc The basement is fully finished and can be used as a second family room or media room. The exterior of the property completes this amazing home with upgraded garage doors and an in ground pool.Located conveniently to all major highways, 2 miles from Hamilton train station, 1 hour to Penn Station, 40 minutes to closest beaches, 15 minutes to PA, easy access to NY, PA, Princeton, Trenton, etc"
"The Jefferson Model - To be built!! 4-5 bedrooms, 3 full baths, 2 car garage! Summer delivery!!" "TO BE BUILT!! !Front exterior picture for advertising purposes only. Delivery expected end of Summer! 4 bedrooms, 2.5 baths, home office, 2 car garage!" "Look no Further~~You have a Wonderful Opportunity to Own this Stunning 3100 sq ft Home which Backs to a Beautifully Serene Wooded Lot and is Nestled at the end of a Quiet Cul-de-Sac. Pride of ownership prevails as you enter the Light-Filled Foyer with Gleaming Hardwood floors. The Formal Living Room and Dining Room flank the Center Hall. At the Heart of the Home is the Gourmet Kitchen which features Custom Maple Cabinets, Recessed Lighting, Under-Cabinet lighting, Double oven, Built-in Microwave/Convection Oven, a Generous Center Island, and 16ft wide center-opening Sliding Anderson Doors. The Family Room features a gas Fireplace and provides an Amazing Space where Family and Friends can Gather Comfortably. On the other side of the Kitchen is an Updated Powder Room and Laundry Room which provides Access to the Composite Deck and Paver Patio, as well as a 2nd staircase Leading to the Master Bedroom Suite. The 2nd floor has 4 Very Large Bedrooms, including an Amazing Master Bedroom Suite with Two Double Closets and a Walk-in Closet. Ceiling fans can be Found in Each Bedroom. There is an Insulated 2 car Garage with Interior Access to the Full Basement. The approximately 1500 sq ft Walk-Out Basement features Sliding Doors to the Private Yard, and Provides a Blank Canvas of Possibilities for this Space, including Plenty of Storage. Additional Features of this home include 9 Ceilings, Upgraded Anderson Windows, poured concrete Basement with Extra ceiling Height, 200amp Electric Service with Whole House Surge Protector, 2-Zone Heating and Air Conditioning with Dual WiFi Thermostats, Whole house humidifier, 75gal Water Heater (2018), Instant Hot Water to all Faucets and Showers. Conveniently located just minutes from Shopping, Restaurants, Downtown Bordentown, Historical Allentown and more. This Move-In Ready Home Offers the Best of Both Worlds ~ Privacy and Yet Close to Everything! Make this Beautiful Home your ~Home Sweet Home~." "Pack your bags! This is the one you've been waiting for. Lovingly cared for and updated 5 bedroom Concord Model in Golden Crest with upgraded and expanded kitchen! The paver walkway leads you to this inviting home. The tiled foyer leads to the spacious living and dining room. The beautiful kitchen features granite countertops with island, stainless steel appliances, hardwood flooring and recessed lighting. The 16 x 14 breakfast room off the kitchen features cathedral ceilings, sky lights and an additional exit to the paver patio. The family room is warm and cozy with hard wood floors and fireplace. For multi-generational living, there is an additional bonus room on this level which could be used as a 5th bedroom, office, workout space or playroom. Completing the first floor is a full bath and laundry room. Upstairs are 4 spacious bedrooms and 2 updated full baths. The location cannot be beat! Make your appointment today to see this beauty!" 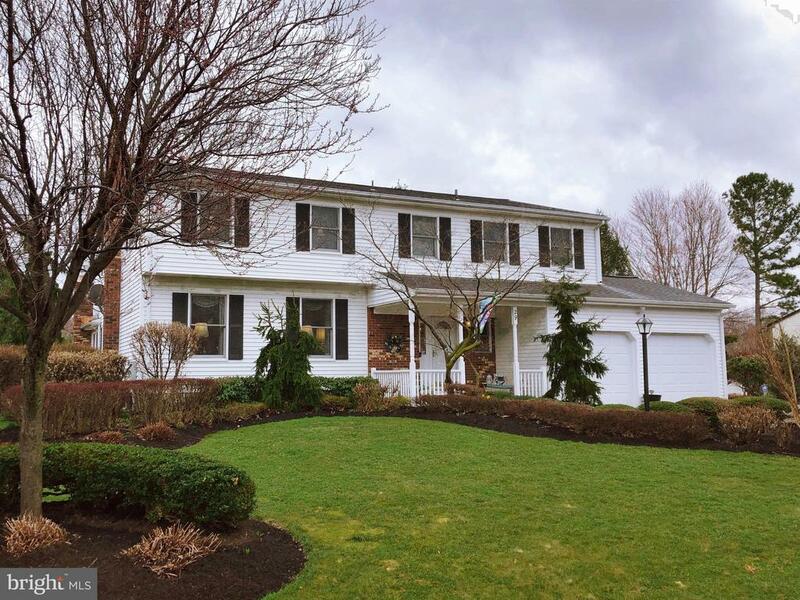 "Tucked away on a quiet, dead end street, this 4 bedroom, 4 full bathroom center hall colonial has so much to offer. Over 3,000 sq ft of living space on the main and upper levels and an additional 1,000+ sq ft of living space in the walk out basement. This property has been upgraded over the years and boasts a new kitchen with granite countertops, stainless steel appliances, 42 inch cherry cabinets, oversized island with seating and additional storage, a pantry and breakfast nook that looks out onto the private and tranquil back yard. The main level offers hardwood floors throughout, a formal living and dining room and separate den...the perfect open concept layout for entertaining. Upstairs you will find a master suite with renovated en suite including a walk in shower, soaking tub and double vanity, the master is complete with a very large walk in closet. The other 3 bedrooms on this level are nicely sized and offer plenty of closet space. The basement is fully finished to include a rec room area, and two private rooms, perfect for an office or even a 5th bedroom as there is full egress and also a full bathroom on this level. The back yard offers not only a quiet space to entertain, but also a large deck with pergola and patio. 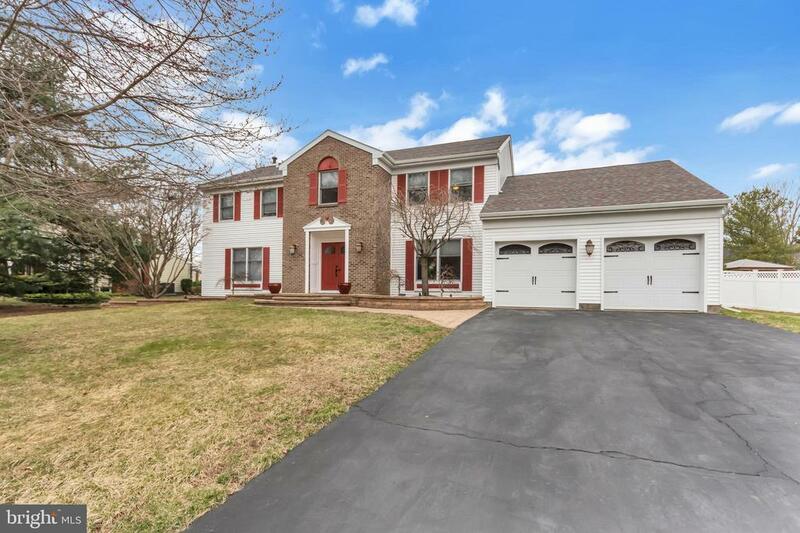 Tucked away in a quiet neighborhood, which makes you feel like you are off the beat and path, but you are only minutes from major shopping malls, all major highways and the NJ Transit and Septa Lines." "SELLER IS MOTIVATED! Over one acre in Hamilton near Crosswicks! 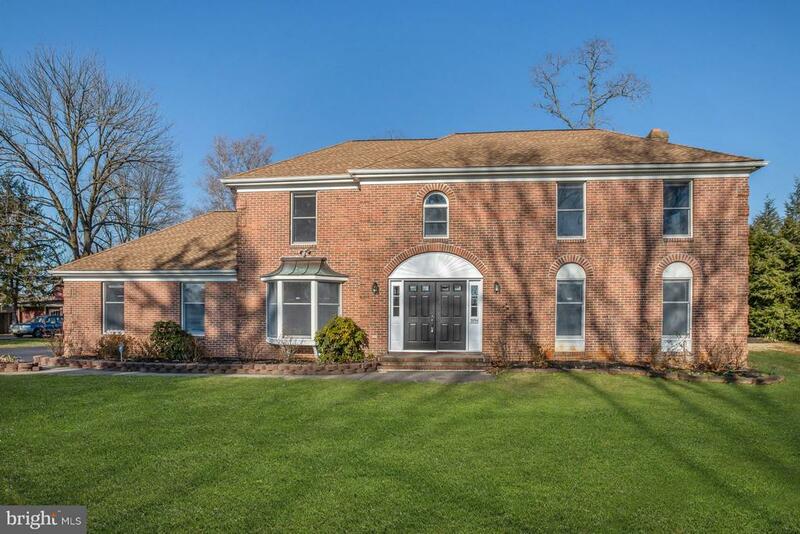 Stately brick front beauty is over 3200 sq ft and on an open 1.27 acre lot located in a rural setting complete with open fields and seasoned trees. 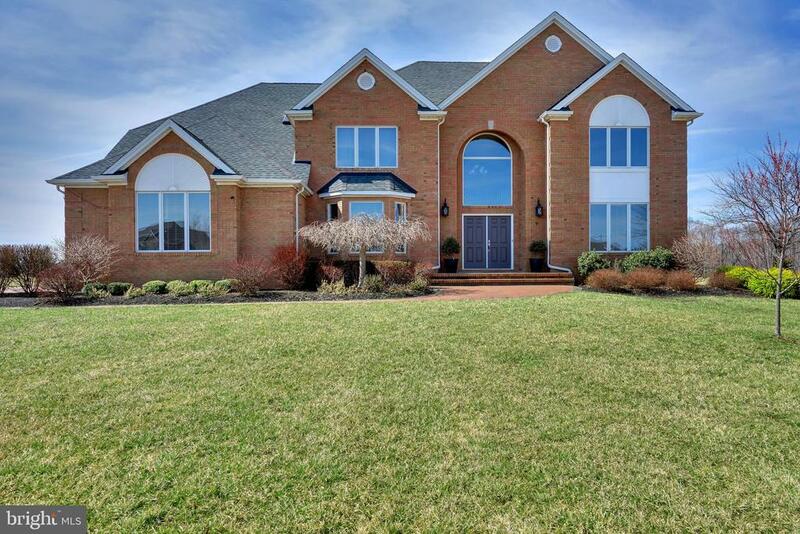 Set back from the road, the Belgian block lined driveway leads up to this grand custom built home with extra large 2-car garage with plenty of storage room. Designed landscaping frame the walkway to the double doors into the open foyer. Freshly painted, new carpet throughout, all windows and home professionally cleaned top to bottom for move-in ready buyer. Formal Living Room to the right and Formal Dining Room to the left, both with crown moldings and chair rails. Stand in front of the sink which looks out onto the pretty open lot and has a classic layout. With a little personal touch, this large Eat-In Kitchen can be updated to the buyer's taste! The center of the home is the Kitchen which leads out the glass slider door onto the ample sized Deck and merges into the Fam Room with brick wood-burning fireplace already inspected (Level One-Pass). Up the stairs, Master Bedroom suite is to the left with large walk-in closet and Master Bathroom with double sink, great natural light, jacuzzi tub and shower. Three additional Bedrooms have plenty of closet space and ample room for a variety of furniture layout. Lots of natural light and great views from all rooms! Unfinished open basement offers an open canvas for all kinds of uses and decor choices. See this lovely property sooner than later...so many positives to not to ignore. 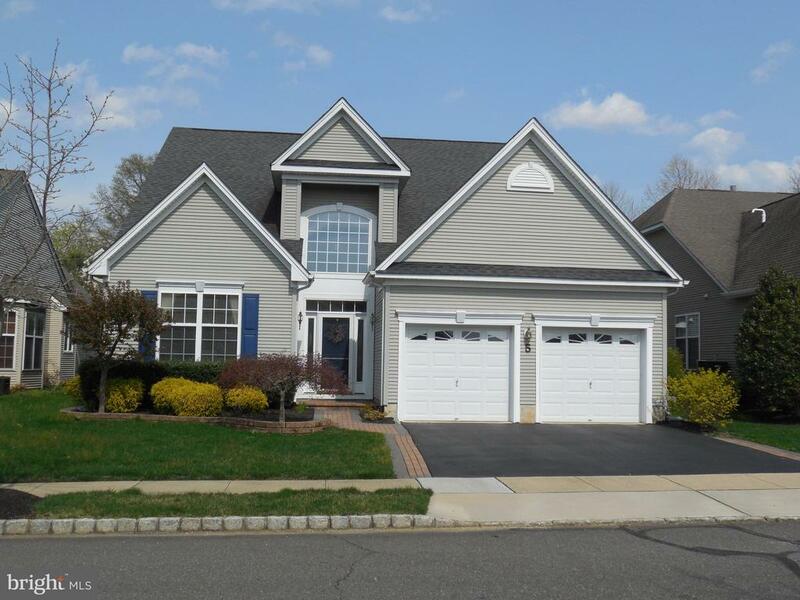 Close to Rt 130, I195, 295, NJ Turnpike, well located to NYC to Philadelphia, NJ Amtrak, so much more! Professional photos and floor plan to follow." 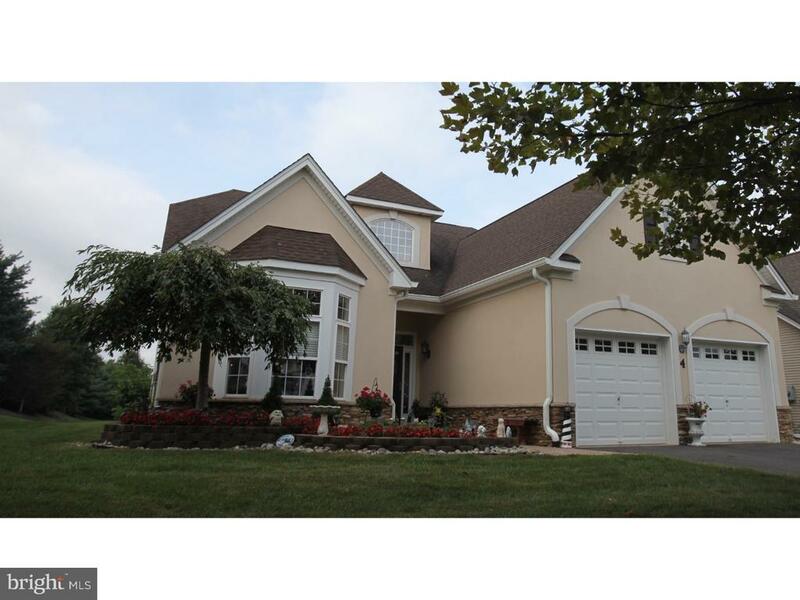 "ENCHANTING 3 bedroom/3 full baths Sundance Model with look of elegance throughout. This very well cared for home features a formal diningroom with a tray ceiling that lights up; chandelier and windows to keep it bright. Foyer is two levels high;bright and scones on the wall which lights up. Kitchen has beautiful granite counter tops reflecting the colors of the cabinets and custom style tile flooring. Featured in the livingroom, Florida Room and finished loft, are solid wood built-ins which lights up. Home features so much more such as gas heat fireplace; Florida Room; finished loft with bedroom and bath; two car garage and patio. A must see home waiting for you to claim it." "This is the home you've been looking for! Stunning Colonial prominently located on a slight hill in highly desired and established neighborhood of Washington Square Village. 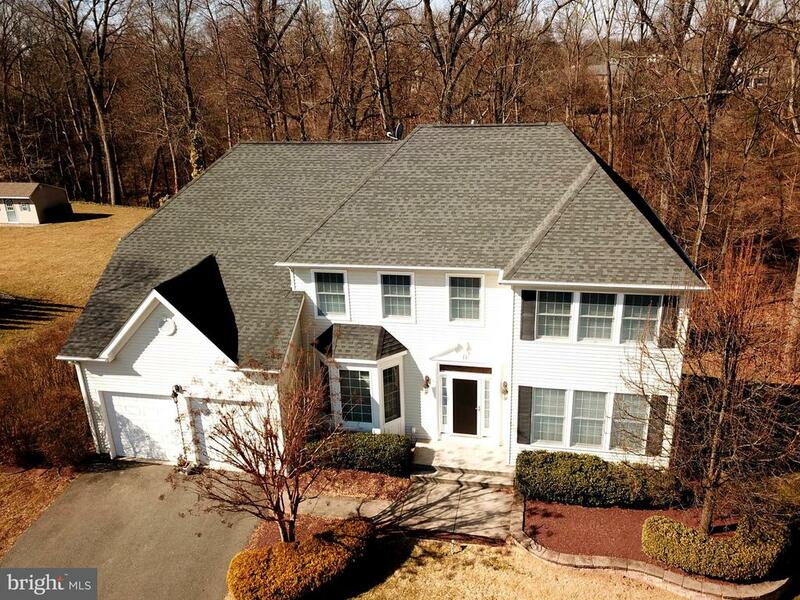 Lovingly cared for and meticulously maintained, this spacious 5 BR 2.5 Bath center hall colonial has much to offer. Bright and Sunny with neutral decor and located in the Steinert School district. From the moment you walk in to the foyer, you feel like you are at home as there's a perfect blend of form and function. Formal Living Rm and Dining Rm offer elegance and comfort. The large kitchen is a cook's delight and features beautiful wood cabinetry with designer granite counter and new tile backsplash. Breakfast bar and a large sunny breakfast room to host your many gatherings. Kitchen offers a view into the family room boasting a timeless brick fireplace for cozy warmth. Family Room also offers glass doors to the spacious deck for indoor/outdoor entertaining where you can relax and enjoy the beautiful big yard. 1st Floor BR for guests, in-law situation or library/den. Main floor laundry room and access to 2 Car Side Entry Garage. As you ascend upstairs, a skylight brightens the stairway and hallway opening up the space throughout the day. The 2nd floor features your private retreat, a Master BR Suite with private bath and two walk in closet. There's 3 more generous sized bedrooms with great closet space and a beautiful hall bath. Great Floor Plan makes Entertaining and every day living a breeze and the lifestyle continues outdoors. Move-in condition and ready for your enjoyment! Minutes from Hamilton Train Station, Major Highways, Marketplace and Shopping. Highly rated Elementary School is Yardville Elementary, Middle School is Reynolds and Steinert HS. Roof, Furnace, Air Conditioner, Hot Water Heater all replaced within last 9 years. Dual Zone HVAC, Newer Windows throughout. Washer and Dryer are Negotiable." "Move right on in to this desirable Concorde model in Golden Crest on a large premium wooded lot. Updated kitchen features 13 x13 granite floor tiles, stainless appliances, center island, granite counter tops, soft closing drawers, 42 inch cabinets with under cabinet lighting, honey onyx back splash, recessed lighting, remote controlled electric Velux skylight and blind, Jenn-air gas stove, and built in microwave. Beautiful 3/4 inch hardwood flooring and crown molding in dining room and living room. Dining room has chair rails. Large family room with 3/4 inch engineered hardwood, recessed lighting and a walk-in closet. Den or optional fifth bedroom on the first floor with large walk in closet and full bath allows for possible in-law suite. Laundry room with ceramic flooring and 2 closets finishes off the first floor. Second floor features 4 bedrooms, lots of closet space and 2 full baths. House updated with Pella aluminum clad wood casement windows with Vivid View screens, recessed lighting throughout, and a central vacuum system. Large 2 car garage with a single door operated by Chamberlain garage door opener with battery backup and wi-fi monitoring. Basement with backyard outside access has gas hot water heater and HVAC with Wi-Fi remote monitoring. Access the large 45 x 12 foot patio with pavers with two 5 foot diameter circular masonry flower pots overlooking a large treed yard with a large wood tool shed through the Marvin wood sliding doors from the kitchen or family room. Sprinkler System." "What a lucky find! On a sun-kissed corner lot in Hamilton Meadows, complete with an in-ground pool and wide, barbecue-ready deck, this center hall Colonial is comfortable, relaxed, and ready to welcome friends with space to spare. Take meals in the formal dining room, or in the oak kitchen's breakfast area, prettily framed by its many windows. Easy-care finishes, gas cooking, and a prep island make entertaining a snap; send snacks through a pass-through to the fireside family room. Laundry, a generous living room, and a half bath round out this floor. A partial finished basement has plenty of storage and recreation room. 4 large bedrooms are private upstairs - 3 share a roomy hall bath; recharge in the master suite, in a bath centered on a Jacuzzi tub, a dressing area with twin walk-in closets and a built-in vanity - plus you'll be thankful for the quick trip down the back stairs for morning coffee! 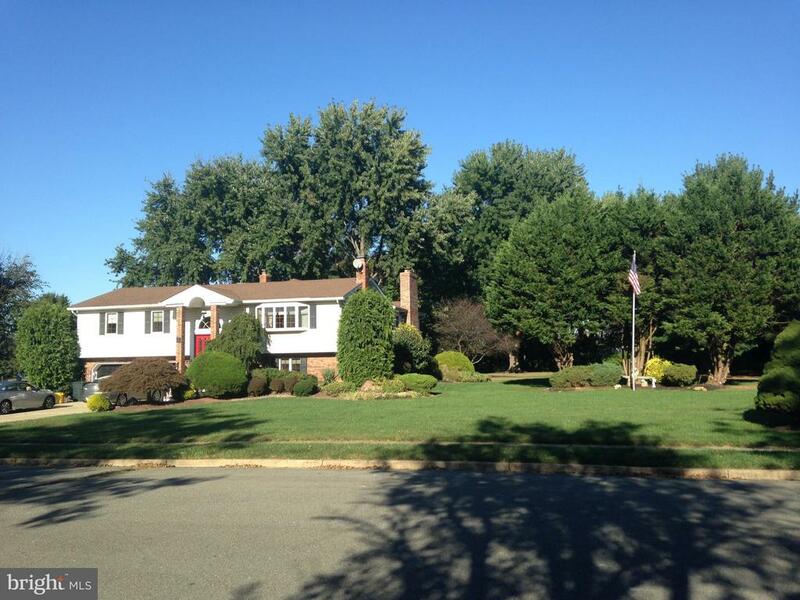 In the Steinert School district, close to the Hamilton train station, RWJ Hospital, and Veterans Park. Newer hot water heater and air conditioning." "A FOURTH BEDROOM can be added to this MAGNIFICENT one of a kind home in University Heights. Upgrades can be found in the living spaces, flooring, windows and treatments. 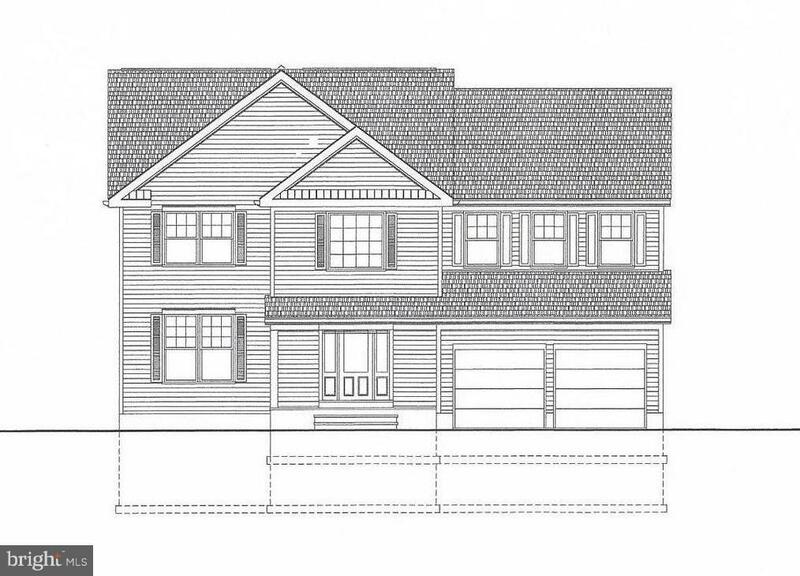 The main level includes the welcoming foyer, half bath, kitchen, laundry room, dining room, formal living room, family room with gas fireplace and a screened in porch. Upstairs you will find 2 large bedrooms and a full bath w/spa tub. Up a couple more steps is one of the additions complete with a large bedroom and sitting room, a full bath and a second laundry. This space can be used as a Master Suite, an in-law suite or made into two large bedrooms for the kids. Possibilities are endless. The professionally landscaped yard also boasts a shed(2 story), underground sprinkler system and a custom patio with a built in fire pit. This home has a lot of love waiting for it's new owner." "As soon as you cross the threshold, you realize this is no ordinary bi-level. There's a wonderful warm, inviting living room at the top of the steps, with a bow window jetting out over the mature landscaping in front with custom-built cabinetry covering the entire length of the adjacent wall. There's a pass thru into the formal dining room, as well as a peek-thru opening with a granite counter to accommodate an overflow of dining guests. The upper level layout is an entertainer's delight, encouraging guests to meander between rooms, down the widened hall and into the large modern kitchen - with its center cooking island, granite countertops, stainless steel appliances, built in eating area and top-quality oak cabinets. The kitchen borders the deck on one side and an enormous 21 X 15 feet family room on the other. The family room boasts a cathedral ceiling, skylights, a converted gas fireplace and a built-in wall unit equipped with a stereo receiver, wired for surround sound. The master bedroom has a walk-in closet and master bath with a huge glass enclosed shower and Jacuzzi tub. Two additional bedrooms and another full bath finish the upper level and there's one more bedroom and den on the lower level. A huge carpeted gym, tons of storage space, a cedar closet and a laundry room complete the lower level. Bundled with new septic, a private well and a fresh coat of paint throughout, this house is truly a dream." "Welcome to the tailored luxury of Enchantment, an elegant over-55 community of singularly stunning manicured homes on tree-lined streets, nestled in quiet upper Hamilton, not far from Robbinsville town center, Quaker Bridge Mall, the charming town of Princeton and the NYC train. Enjoy this larger, elegant Brick-front Sundance model in stellar condition on a unique lot, offering a private backyard patio with view of mature trees. Enjoy the immaculately maintained paver-stoned entrance with carefully trimmed and well-placed shrubs and flowers. Enter the foyer of the home and enjoy gleaming hardwood floors, an adjoining large separate formal dining room leading to the upgraded kitchen with stainless steel appliances, ample Corian counter tops, a separate center isle and adjacent large breakfast nook open to the dramatic two-story living room with elegant fire place and an adjacent Sun Room with sliding glass doors leading to the private backyard paver patio. A separate hallway leads to the large main bedroom with large windows and en suite bath. A second bedroom, an office/den, a separate laundry room and a second full bath make up the rest of the main floor. Upstairs finds a large balconied family room, a third bedroom and a third full bath. Immaculately kept, the home is ready to move into! A private irrigation system, mature flowering bushes and trees make this property easy to maintain. Come see for yourself! You will feel at home!" "Come see this beautifully finished home in the highly sought after Enchantment at Hamilton 55+ Community. This home has lots of high-end upgrades including 10' ceilings, granite counter tops, sound system inside and on patio, crown molding and ceiling fans throughout. The first floor is also outfitted with elegant engineered hardwood floors. Enter the home through the 2-story entranceway and you are greeted by a very open floor plan where the nicely finished eat-in kitchen has lots of counter space as well as a large island and full view of the great room. The great room has plenty of room for all of your entertaining needs. At the rear of the great room is a sunroom with wonderful windows and lighting leading to your paver patio where you and your guests can enjoy fruit from your own fig trees and meals cooked on your BBQ which can be connected to the direct gas line available outside! The downstairs also has 2 bedrooms (including the master suite), a den/office, laundry room and an additional full bath. The master suite has a large walk-in closet and a full bathroom complete with a double sink, shower and a soaking tub. Proceed upstairs to a large loft area overlooking the entranceway, which can be used as an additional TV room, office, or whatever type of space you need. There is also a very large storage room with an additional cedar closet for all of your storage needs. If you need storage, this home has lots of it!! Some of the amenities offered at Enchantment are a pool, clubhouse, fitness center, bocce, tennis, and pickle ball courts. Move into this impeccably maintained community today and relax as the lawn maintenance and snow shoveling are taken care of for you! 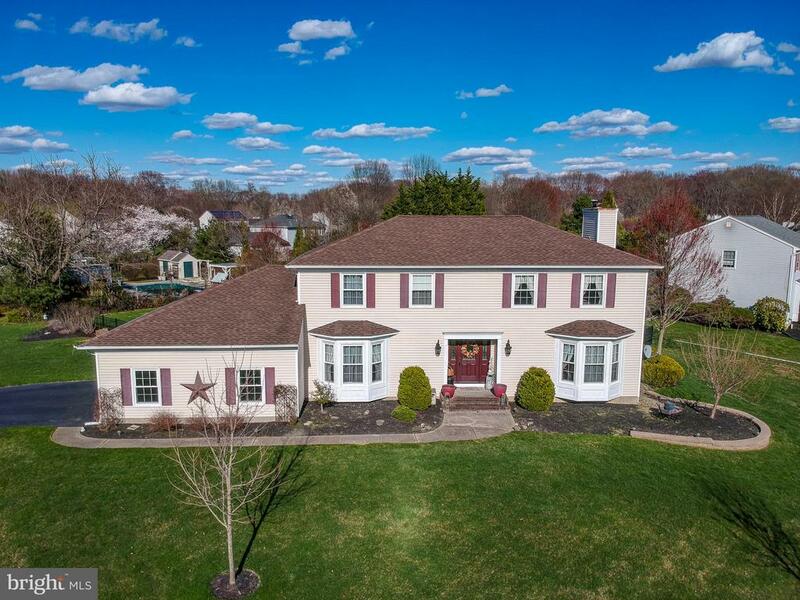 You also have easy access to major roads including 195, 130 and the NJ Turnpike as well as plenty of shopping and dining nearby in Robbinsville and Princeton." "Here is your chance to live on one of the most desirable streets in the center of Hamilton Square in a spacious new home that includes all the bells and whistles. With the estimated completion date in mid to late August, this spacious 4 Bedroom, 2.5 Bath Craftsman-style home boasts 2365 sf and includes incredible, one-of-a-kind custom options! As you pass under the covered, rocking chair porch and enter this masterfully-designed home, you~ll be pleasantly surprised by both the style and open concept floor plan. Craftsman windows have been placed throughout the home to bring in natural light without losing privacy. The Kitchen will inspire your inner chef with its granite counters, large center island, stainless steel appliances and huge, custom-built columned opening. Directly off the Kitchen is the Family Room with windows and built-in shelving flanking the gas fireplace. Finishing off the first floor is the half bath and area for your coats and boots, directly off the garage. Hardwood flooring is included throughout the first floor (porcelain tiles in the half bath) as is elegant upgraded base trim and craftsman-style door/window casing and crown molding. The second floor is home to a large master bedroom suite and includes a walk-in closet and private bath with a tub and separate shower. The 3 generously-sized Bedrooms have ample closets and share a beautiful full bath with an oversized vanity. Both bathrooms boast tiled tub/shower surrounds and flooring. The laundry room is conveniently located on the 2nd floor. 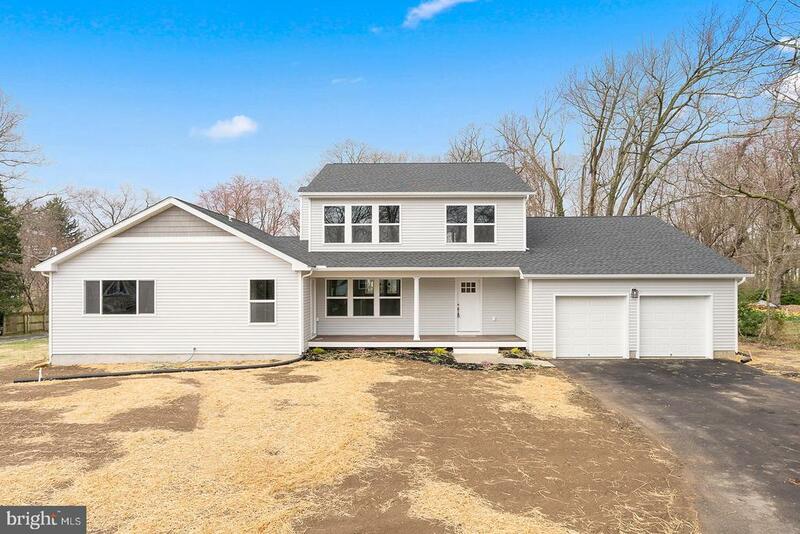 This home also comes with a full basement, two-car garage and energy efficiency in mind: 2x6 walls to allow for added insulation, R21 insulation on basement walls (ready for finishing), tankless hot water heater and 90-plus direct-vent heater. This home is perfect for that selective buyer seeking th"
"New! New! New! 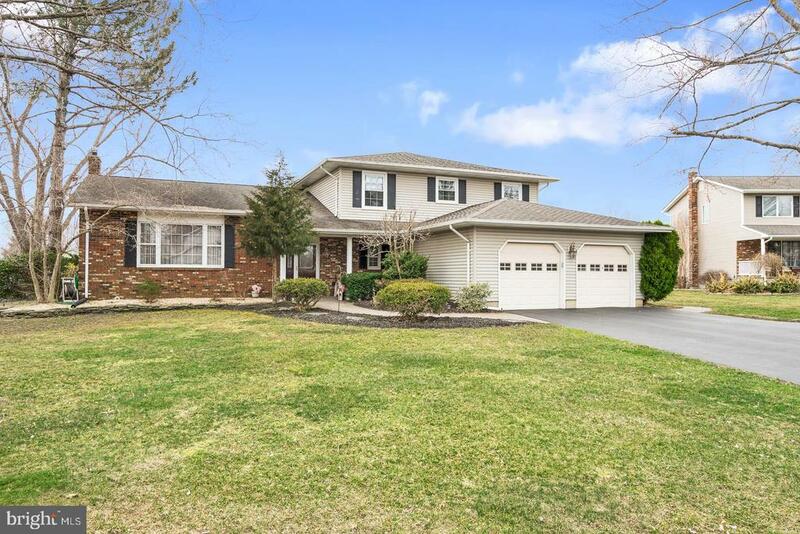 Now's the time to check out this fabulous 4 Bedroom, 3 Bath colonial boasting over 2500 sq ft and a 900 sq ft vaulted ceiling garage. Almost everything in this home is new. Rebuilt from the foundation up the home is almost finished. Rebuilt with 2x6 studs the home has additional R insulation values not seen in 2x4 studded homes. 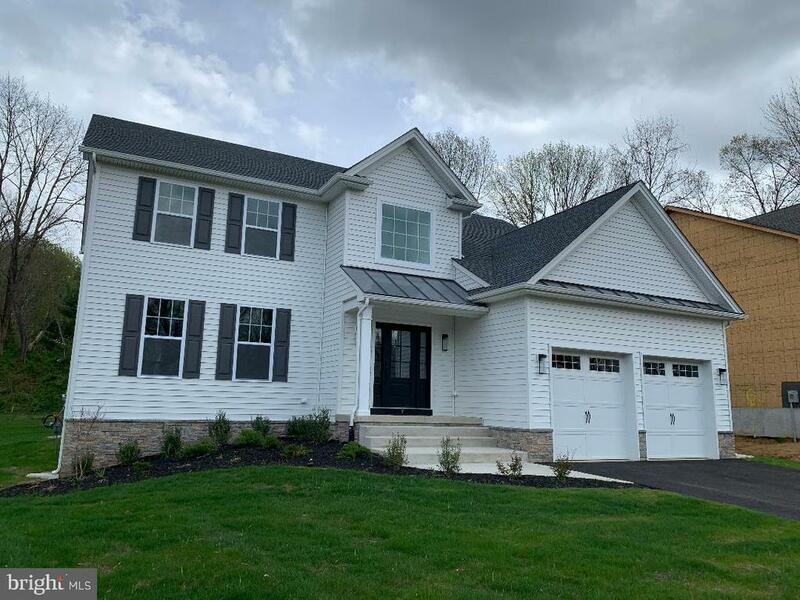 Brand new walls, ceilings, electric, plumbing, windows, siding, roofing, hardwood and porcelain floors, doors, energy efficient tank-less hot-water heater and direct-vent heater. This home is maintenance free for a generation. The over-sized eat in kitchen will feature an impressive over-sized island along with Craftman cabinets, granite counter tops and stainless steel appliances, the vaulted ceiling family room invites all of the outdoor light with an impressive window display. A full bath off the first floor office offers functionality or first floor bedroom for multi generational living with its own exterior entrance and foyer. Hardwood flooring and hefty base trim complete an elegant look. Upstairs a master bath with walk in closet and three bedrooms with full hall bath. The house sits on a large 100x300 lot and is few minute walk to Gropps Lake. Please note that taxes displayed are before renovations, new estimated taxes will be determined by Hamilton township. 10 year new home warranty included with sale." "Welcome home to this beautifully maintained 4 bedroom 2.5 bathroom Saxony model in the highly desirable Golden Crest neighborhood. As you enter through the front door you are welcomed by a wide hallway leading through the house. To the left is a large sun-lit living room and formal dining room all in hardwoods. A fabulous kitchen is adorned with under cabinet lighting, ceramic tile floors, custom tiled back splash and side by side pantries, step down to the oversized family room w/wood-burning fireplace. A staircase leads to the upstairs with the master suite, walk-in closet, additional closet and a master bath. Three large additional bedrooms and a remodeled full bath. Enjoy the upcoming summer months in your in-ground pool with custom deck overlooking the fenced in yard. 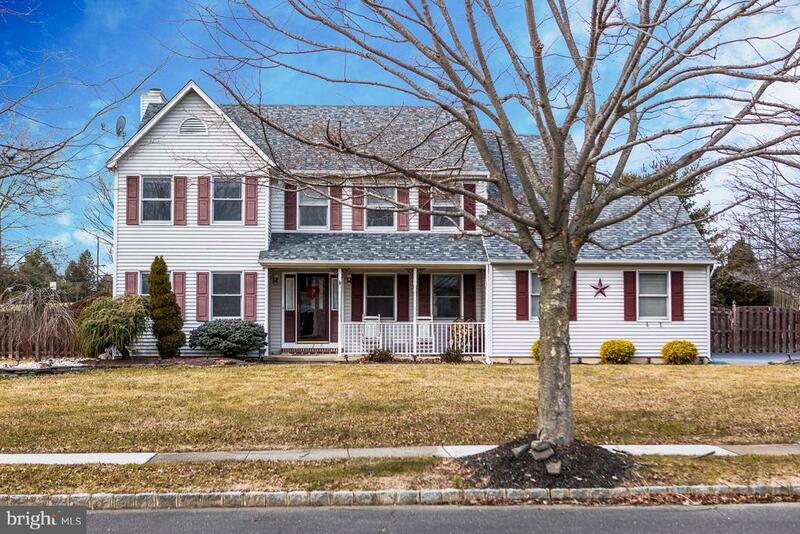 Better yet is the close walking distance to Alexander, Reynolds and Steinert schools!"